Oft-displaced artistic powerhouse Disjecta settles into more permanent digs on the edge of working-class Kenton. Disjecta founder Bryan Suereth toys with a piece of art inside the studio’s “white box” space. LOCATED NEAR THE Yugo-size boots of a 35-foot-tall statue of Paul Bunyan and kitty-corner from a strip joint called the Dancin’ Bare, a space that once housed a hydraulics shop-turned-bowling alley seems like the last place a sensible person would open a cultural center dedicated to fine contemporary art. So it’s here, on the northernmost stretch of N Interstate Avenue, that Disjecta is making what Suereth says is its final stand in Portland. As the finishing touches on the renovation go up this month, the organization’s new 12,000-square-foot home will feature a large, ivory-walled exhibition space, nine affordable artist studios, a rehearsal and live-performance venue, and, maybe one day, a café. Most important, a 10-year lease inked earlier this year has given Disjecta what it’s been looking for since it made its first home in an old Masonic lodge eight years ago: stability—a solid bedrock on which to build its vision of an experimental art utopia. It’s a fair question. Often criticized for not having the fundraising savvy or the arts background necessary to head up a large-scale multidisciplinary arts center, Suereth has folded Disjecta twice in the last seven years: first in 2004, when the group was priced out of its original location in the N Russell Street neighborhood; and last year, when they lost their lease in the 24,000-square-foot Templeton Building on the east end of the Burnside Bridge once the structure went up for sale. A 10-year lease has given Disjecta something it once lacked: stability. Disjecta’s board of directors is undeterred by the organization’s history of trial and error, something they unanimously dismiss as little more than a “natural evolution.” Meanwhile, inside the new space’s freshly painted walls, among ladders and exposed wire, large-scale art installations are being constructed beneath the 25-foot barrel-vaulted ceiling. 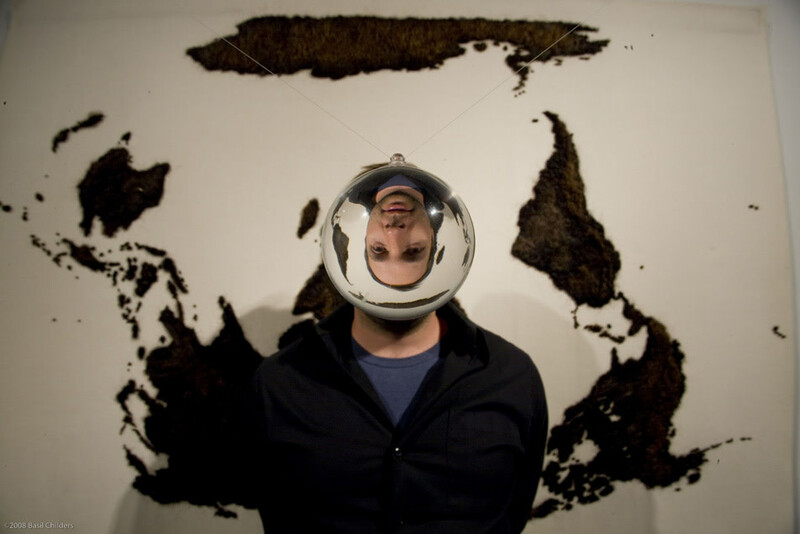 In one corner, a poem in the shape of a fingerprint is etched on glass; on another wall, nebulous brown shapes made of human hair morph into an image of the earth when viewed through a glass orb positioned in front of them. It’s the kind of work that represents the conceptually creative energy Disjecta hopes to cultivate. Intriguing installations are sprouting up at the latest incarnation of Disjecta. But will the downtown arts crowd be inclined to take the Yellow Line MAX train out to a former bowling alley on N Interstate Avenue? In a town whose art scene sometimes seems dominated by galleries where buying and selling products are raisons d’être, Suereth says he’s always wanted to give artists a space where creating and displaying—not selling—are the point. “I think there’s a feeling among artists that they have to leave Portland to become successful,” he says. The recent closures of Tilt Gallery and Small A Projects, which moved to New York this summer, attest to the inherent difficulty in maintaining noncommercial contemporary art spaces in this city. In an interesting twist, Jenene Nagy, the former owner of Tilt and a sculptor in her own right, now rents a studio space at Disjecta. Doling out workspaces at the below-market rate of 65 cents per square foot is something unique for any incarnation of Disjecta. 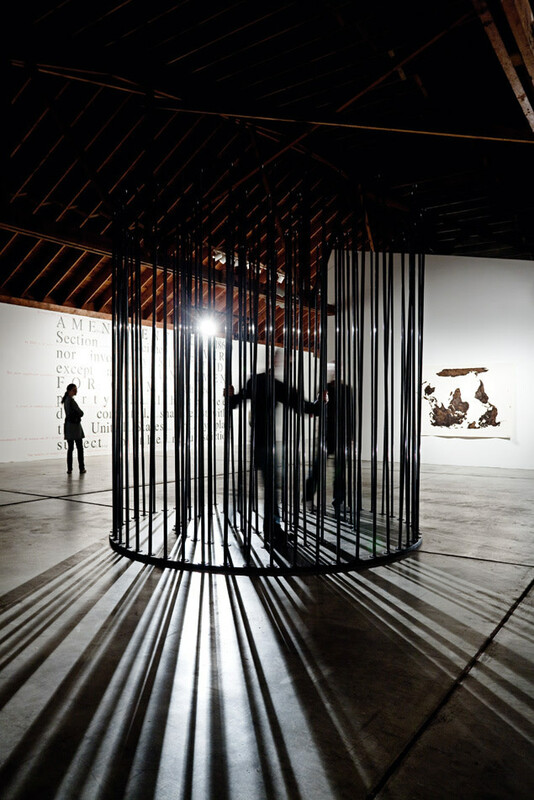 The mix of studio and gallery provides a transitory middle ground between experimentation and full-scale exhibition, allowing new artists to take creative risks and refine their craft while being assured that their work will at least be seen by the public. Here’s hoping that this time around, Suereth is right.